This month I skipped over all the color suggestions from the list and only used items that would be added to my layout, so my 5 things are: a flower, journaling, a sticker, chipboard and thread. 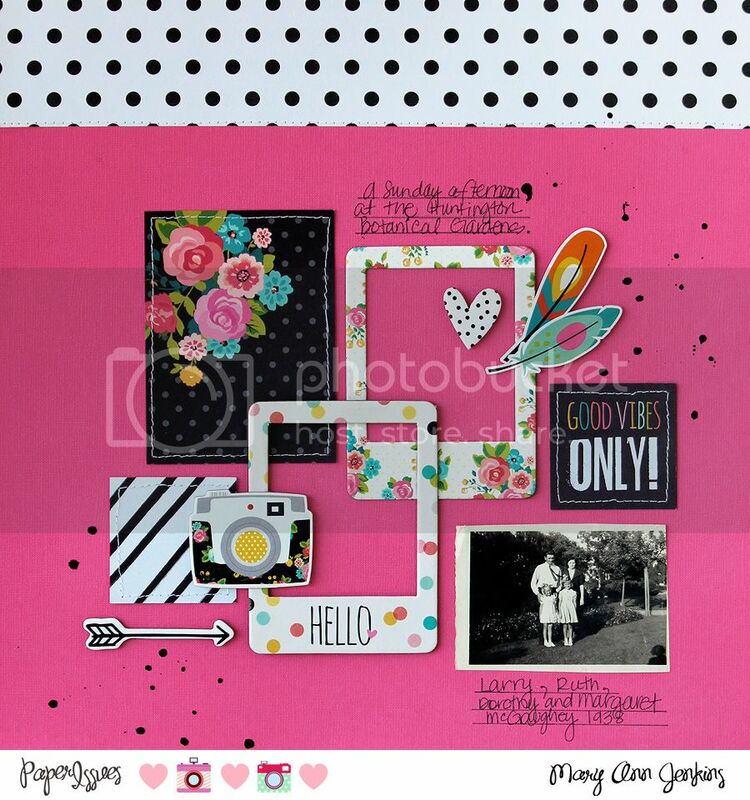 For those of you that don't always have photos or papers/and or embellishments that go with the colors on the inspiration and idea list, this is another option to try for the Take 5 Challenge! I would love for you to play along with the Take 5 Challenge, you have a chance to win a gift card to the Paper Issues store!! 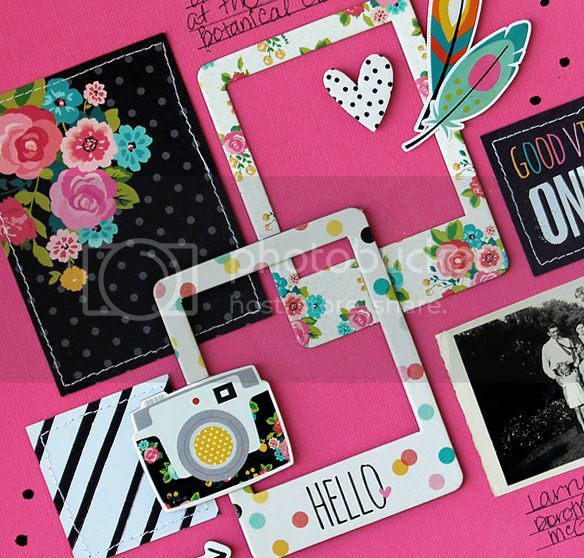 Check out the Paper Issues blog for more info, and more inspiration from the design team! And...don't forget you can use code: "Mary Ann" in the Paper Issues store for 20% off your total purchase!! So vibrant and fantastic! Love this!